Charity might be the last thing that comes to mind when you think of Monaco, but once you mingle in some of the social circles of this principality you will soon discover that the people here are warm and give back as well as they live. 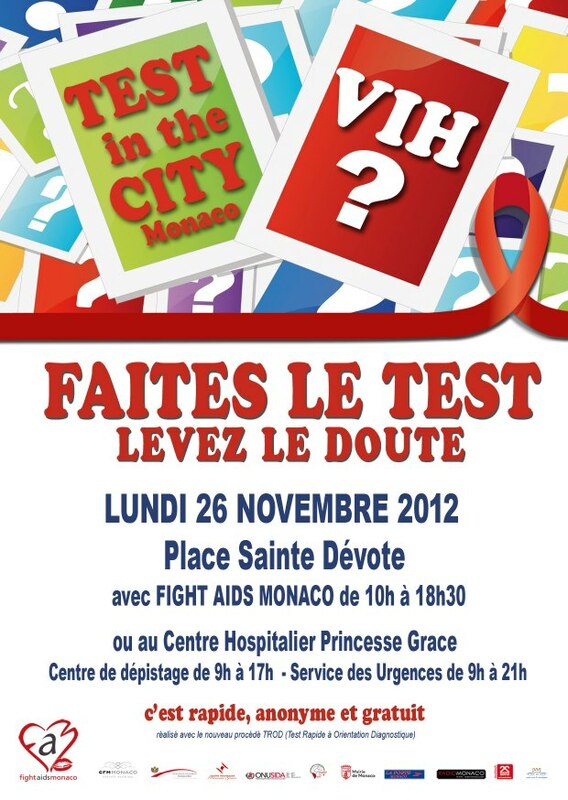 One such charity that comes to mind is Fight AIDS Monaco, driven by HSH Princess Stephanie. Established in 2004, Princess Stephanie’s role as President of Fight AIDS Monaco and Goodwill Ambassador of UNAIDS seeks to provide information, education, prevention, support people with HIV and help combat the social stigma attached to the disease. 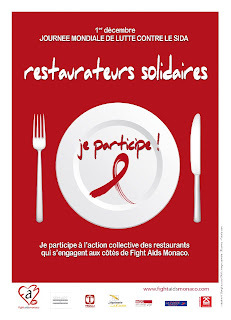 Fight AIDS Monaco is funded by a grant from the Government of Monaco but mainly from private donations. 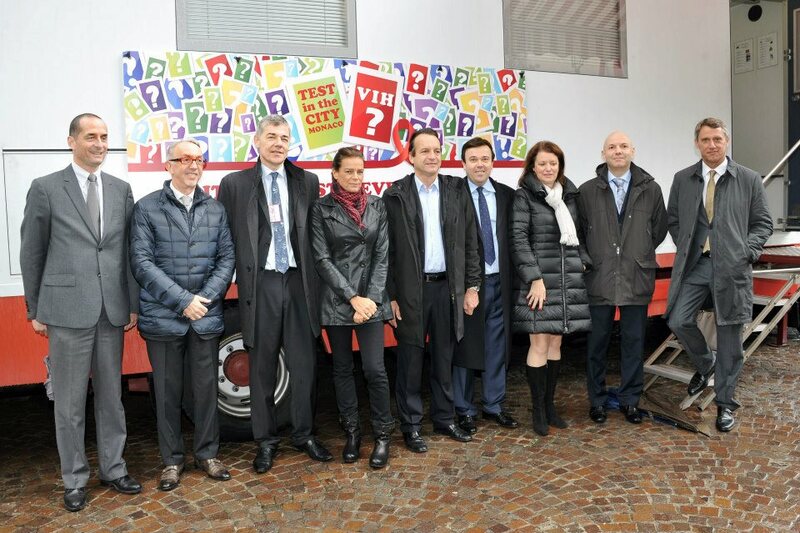 Since Fight AIDS Monaco has started, a tremendous amount of work and outreach has been done not only within the Principality of Monaco itself, but throughout the Cote d’Azur, the rest of France and the world. 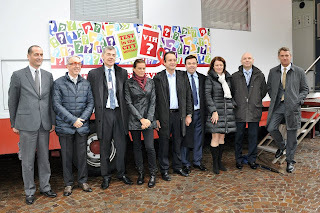 The Fight AIDS Monaco organization works with a Board of 11 people, a team of 4 employees and 12 volunteers, all of which share their time, along with Princess Stephanie to help put the word out about AIDS awareness. 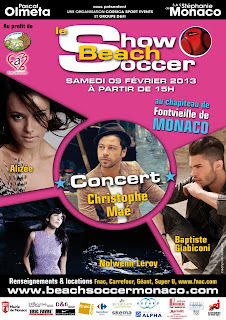 One of the best ways this has been done is with raising funds by organizing various events in Monaco, such as the Beach Soccer Show in February 2013 and most recently the NRJ Music Tour concert featuring a multitude of artists earlier this month. 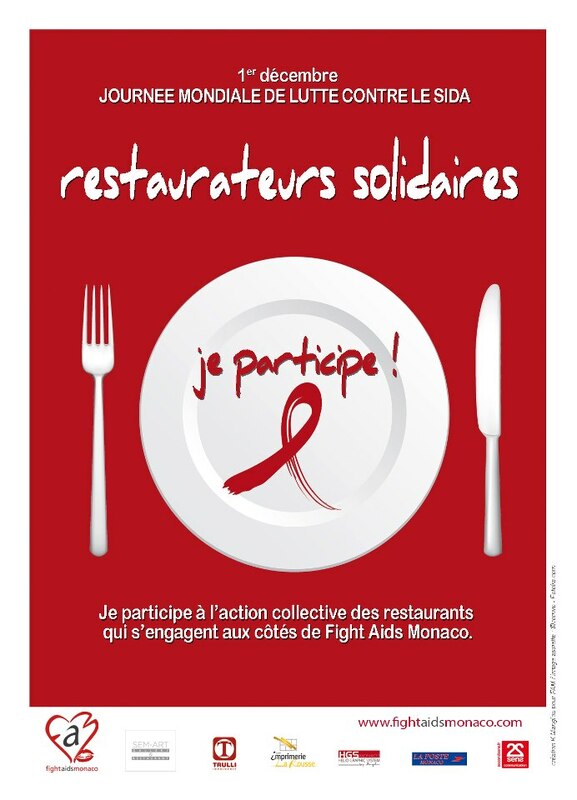 A program called “Restaurateurs Solidaires” has been underway for a number of years that encourages participating restaurants and cafes to use items such as placemats to spread messages about AIDS prevention. 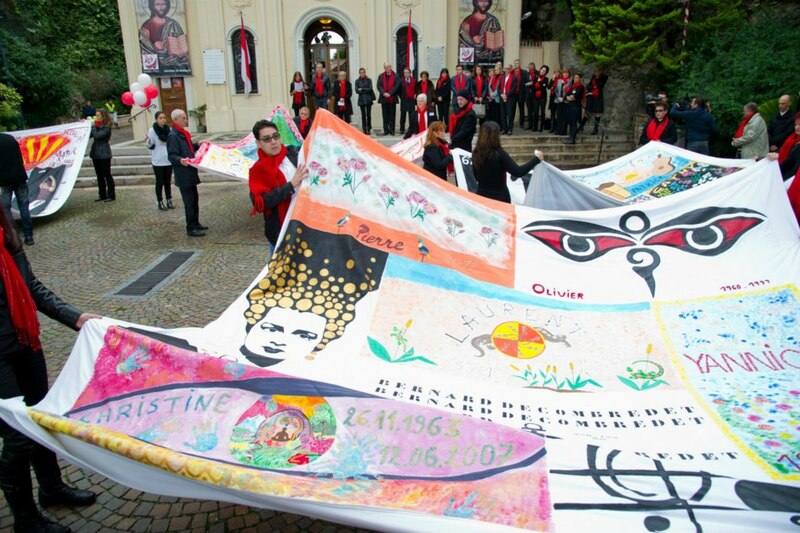 There is also the highly recognizable “Operation Quilt” in which large canvases are covered with images and messages representing people missing from the world because of AIDS and acknowledging those currently living with HIV. 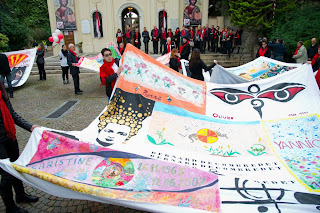 They are then sewn together, along with their names as a piece of memorial artwork that is then also displayed at the quaint Sainte-Devote Church in Monte Carlo. 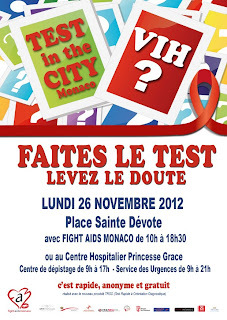 "Test in the City" is also done within the principality providing anonymous HIV rapid testing for free with results in only ten minutes. Princess Grace Hospital, the Emergency Department and the Center for Anonymous and Free Screening are partners to the event. One of the other successful events in Monaco is the charitable auction galas in support of Fight AIDS Monaco which seems to bring out the real glitz and glamor of the principality and surrounding region for this worthy cause. Another arm of the Fight AIDS Monaco projects is the ‘Maison de Vie’ which means “House of Life” in English. 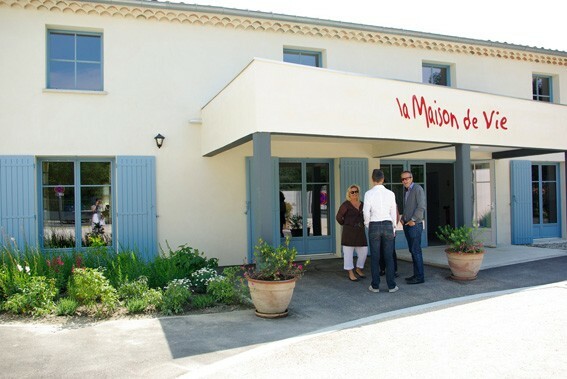 Opened by Princess Stephanie on June 26, 2010, the facility operates on an acreage in Carpentras, France as a “healing place” for those with HIV/AIDS as a place of respite. It has wonderful gardens and walking trails with a living space for 28 adults and children. Extensive work is also being done on two international missions, one in Madagascar and a study in Burundi where the Fight AIDS Monaco efforts continue. 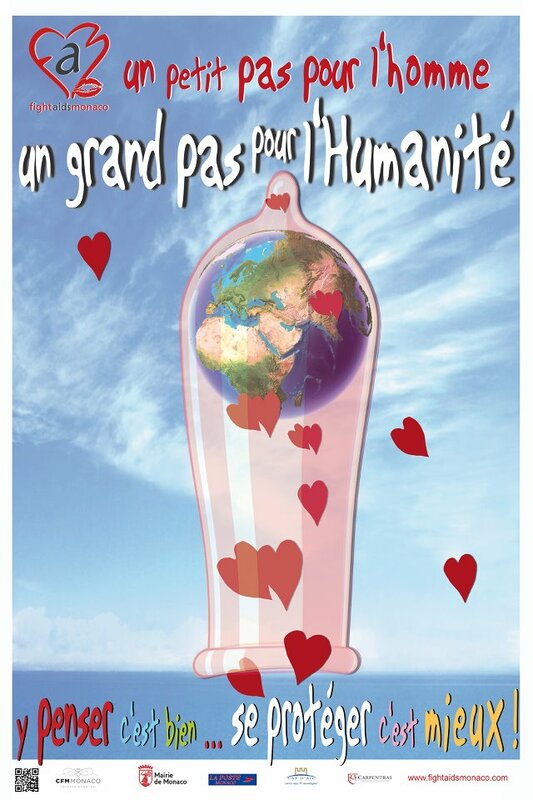 AIDS knows no borders and needless to say, the very busy Princess Stephanie has worked tirelessly along with the good people of Fight AIDS Monaco to bring much needed awareness and education to this very important cause.